Patong beach, Thailand. 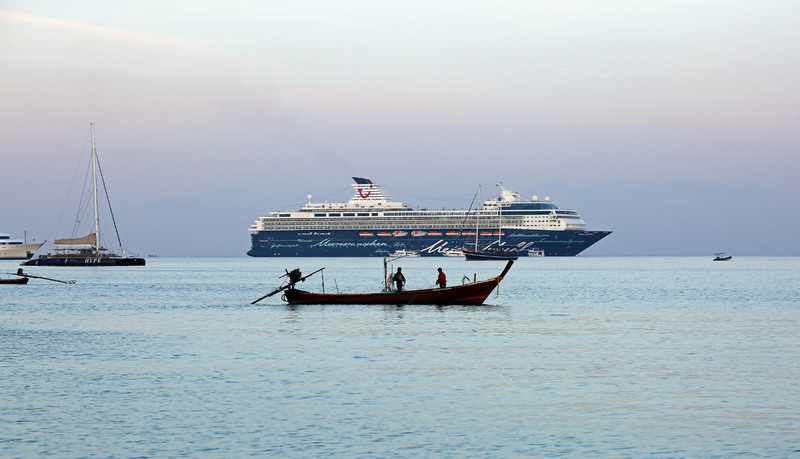 Mein Schiff 1 is a Century-class cruise ship owned and operated by TUI Cruises. 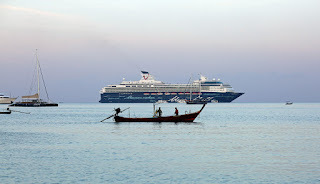 Previously, she cruised as MV Galaxy with Celebrity Cruises . She was laid down at the Meyer Werft shipyard in Papenburg, Germany, on 25 May 1995, was launched in May 1996, and was delivered to Celebrity Cruises on 10 October 1996. She entered service on 21 December 1996.